Often Often articles focus on how difficult writing is, and all the struggles that writers have to overcome, and while we are not going to disagree with the fact that writing is tough and challenging at times, let’s stop for a moment and think about how incredible it also is, and the true joy that it brings to many people’s lives. Writing challenges us. There are always things to learn, new methods to try, and ways we can improve. It’s a constant learning curve that keeps our minds fresh and active. Challenging yourself is always a good thing, and if you keep on pushing and driving yourself forward you’ll reap the rewards at the end. It’s creative, and so much fun! Writing is lots of fun. When else do you get to let your imagination run completely wild? When you write you are the puppet master, and you are in charge of absolutely everything that your characters say and do. You can control nature, fate, life and death. You can make pigs fly, make fish rain from the skies! OK so it might sound like we are on a bit of a power trip, but why not? Writing is where you can explore the very depths of your creative mind – what’s not to love about that? Is there any greater feeling than when you’ve finished writing? It could be a chapter, a short story, a whole novel but that glow of satisfaction you get, that little inner high five you give yourself, that feeling that you did something good and productive and worthwhile -it’s a feeling that’s certainly worth having time and time again. Writing can be an amazing way to express yourself. It is actually hugely therapeutic. Whether you are ranting about your neighbour in your diary, writing a hard hitting memo about your whole life, or creating a character just like your horrible old school teacher who then meets a terrible fate – writing can be an amazing way of unburdening yourself, exploring thoughts and feelings, and learning things about yourself you never even knew. If you write you’ve always got that feeling that you might be onto something great. It’s kind of like having a lottery ticket and not yet knowing whether you have won! 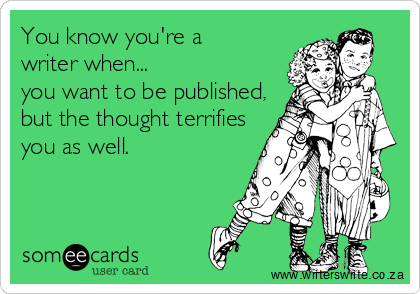 You never know what might be around the corner, and where your writing might take you, and that is a pretty awesome feeling! Reading is one of life’s great pleasures. It entertains and inspires us, and, in some cases, it changes our lives. Without writing we wouldn’t be able to read – so we should always be grateful for that! So, whether published, trying to get published, or just doing it for fun, writing really does make your life better. If you are writing or thinking about writing then just go for it – it really can make you feel lighter, happier and more fulfilled! I have to say I agree with most of these points. Sometimes it's a challenge just for me to get something written down. I need to do more of that! Not sure that it makes me feel as if I'd won the lottery, but it is exciting. And I do believe it gets things off the chest and will one day give others something to read. Some writers get really excited about the editing stage of their novel. Others completely dread it. Whatever your take, editing your work is simply part and parcel of being a writer, and so it’s a good idea to try and get as good at it as possible! As well as carefully going through your manuscript to pick out spelling, grammar and punctuation errors, a big part of the editing process is trying to cut out bits of your writing that aren’t actually enhancing your story. Most first drafts tend to be longer than the finished piece, and while no author should cut out parts of their book just for the sake of it, it is inevitable that there will be some bits that you wrote that can be removed without affecting your story. It can be difficult to cut parts out of your book. For some it may just be the odd sentence here and there, for others it may be entire chapters. When you have spent so many hours crafting and shaping your story, letting go of certain scenes, and sometimes even characters can feel pretty painful. Often writers worry that they have read and re-read their work so many times that they could end up removing parts of the story that were actually quite good, but they’ve become so close to their own work, and simultaneously so critical of it that they can’t tell what’s working and what needs to go! The last thing any author wants is to edit their work so much they end up ruining it (this can happen, believe me)! Even though the article talks about writing novels, I believe this can apply to any kind of writing. When I first went over my handwritten draft of my memoir, I saw some things that I'd repeated in some chapters, either the same or in different chapters. So how do you know what to cut out of your novel? Here are some ways you can tell what needs to go. 1. Are you bored by reading it? There are going to be parts of your book that make your heart race or sing with pride. The parts that get you all fluttery and excited and thinking ‘ this book is actually pretty great.’ Then there are the bits that make your attention wander, that you find yourself skimming over, that make you yawn a bit. If you find yourself a bit bored by what you have written, or skim reading it to get to the next heart-fluttery bit, then really focus on how you can either change what you have written to make it better, or if you could actually cut these bits out altogether. If you are bored reading it, chances are your reader will be too. I'm not sure if I saw anything I was bored by, but since I am still editing, I will look more carefully for anything like this. 2. Does it make a difference? Is this sentence, scene, or chapter actually helping to move your story forwards? Does it effect the action in any way? If you took it out would it make any difference to the story? If the answer is no then you know you need to cut it out. Also, look out for where you have painstakingly described a character’s actions, i.e. every movement from one room to another – readers don’t need to know everything a character sees and does, so sometimes it’s a good idea to spare them the details. As I said in the last sentence in my paragraph above: "...Some of these I cut, but I still see some repeated things that I felt could not be removed without losing the meaning conveyed in the particular passage in which the phrase occurs." 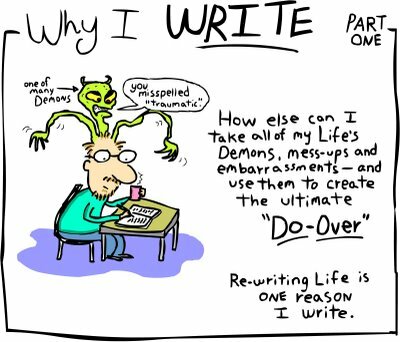 All writers are guilty of overwriting at some point or another. Look out for this when you go back to edit your work. If it feels too wordy, if the language is too flowery and descriptive, if it’s taken you four paragraphs to describe a teapot – you know you could probably find a more succinct way of getting your point across. The way I see this one, I try to avoid long sentences, as well as repetitive descriptions in the same chapter. I may repeat such things however, in different chapters, if necessary (see above). 4. Can you use one word instead of two? Though this can be a rather slow process, many authors carefully re-read their work to look out for instances where they could use one word instead of two. Often it’s easy to add and an extra descriptive word which actually means the same thing, for example, ‘He was a huge, giant of a man.’ Here there is no need for the word ‘huge.’ Going through your manuscript and cutting out words that aren’t necessary will tighten up your prose and make your book altogether more readable. Again, I often see sentences I think are too long and that can be broken into two separate sentences. While editing recently, I found myself on the lookout for such sentences. 5. Is this what your character would really say and do? Look out for instances where characters go out of character! It can be easy, when in the writing ‘zone’ to forget that Jim is actually a very mild-mannered man and suddenly have him fly off the handle because someone left the bathroom light on. Make sure that your characters always speak and behave in a way you would expect them to, and if they don’t either rephrase or cut it out altogether. The best way to understand what to cut out from your novel is to take a step back from it. Leave it for a week or so, get some breathing space and go back to it with a fresh pair of eyes, a difference perspective and ruthless determination to make it the very best it can be. How do you go about deciding what to keep and what to delete in your writing? And how do you decide what to do to make it longer? This is what I was diagnosed with. Dysthymia, also called neurotic depression, dysthymic disorder, or chronic depression, is a mood disorder consisting of the same cognitive and physical problems as in depression, with less severe but longer-lasting symptoms. The concept was coined by Robert Spitzer as a replacement for the term "depressive personality" in the late 1970s. According to the fourth edition of the Diagnostic and Statistical Manual of Mental Disorders, published in 1994 (DSM-IV), dysthymia is a serious state of chronic depression, which persists for at least two years (one year for children and adolescents). Dysthymia is less acuteand severe than major depressive disorder. As dysthymia is a chronic disorder, sufferers may experience symptoms for many years before it is diagnosed, if diagnosis occurs at all. As a result, they may believe that depression is a part of their character, so they may not even discuss their symptoms with doctors, family members, or friends. Dysthymia often co-occurs with other mental disorders. A "double depression" is the occurrence of episodes of major depression in addition to dysthymia. Switching between periods of dysthymic moods and periods of hypomanic moods is indicative of cyclothymia, which is a mild variant of bipolar disorder. Since I began my memoir, I have not been afraid to admit to others that I have this condition or that I have been on medication for it. And I'm glad to see others who aren't ashamed to admit or talk about such things. It took me a long time to come to terms with my depression and to receive help, but I'm glad I have done so. Yes, it's all part of the process. One of the things that you can do over. We don't get a lot of do-overs in life, but writing is one that can and must be done ever and over till we decide it's just right. I'm still doing this for my memoir and for my new story, and I've only got six pages on that one as of yet. It's kind of hard going back and forth between the two, but I'm doing what I can. I agree with this somewhat. But I must admit I did have trouble coming up with names for my story. I did not want to use real names to avoid possible legal issues later, should getting published became reality. Sometimes I wonder why I chose some names I find myself using--something I'm wondering about the character for the new story I have begun. When coming up with fake names for the people mentioned in my memoir, I thought the same thing. I have some I really like, such as Bob and Tina. But I knew I could not use those names all the time (but did use each one once). I'm trying to avoid using the same name more than once unless it's absolutely necessary to the story. Just to avoid confusion. I often wonder how all the greatest authors came up with their character names. Those who are currently writing--how do you come up with names? ... as to how much more I can and want to write and add to my memoir. I want to find others who know about writing books, but I know very few such people. No writers groups exist near me; just a few that are 50 miles away. I've asked online, but want some in-person advice as well. I'm trying to decide how much longer I feel I need to make it. I know that's something only I can determine, but I'd like to know how long others spent doing their books. I'm sure I've said all this in earlier posts, but I really want to know all this. I'd say both of these are true of me right now. Last Friday at work we had what my boss called Friendship Day so as not to exclude those without a "Sweetheart." I think this is good idea. It was quite a fun day with games, crafts and food. The blog Femvidual will be hosting a Feminist Reading Challenge, with the choice of either Levels or a Bingo card. I'll be choosing the first level, but based on how many of the books I read last year, I'll probably read more than that. I knowI've already read some books that fit the challenge. 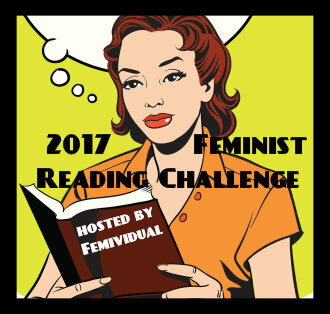 The Feminist Reading Challenge is back and fashionably late for 2017! This reading challenge focuses on reading nonfiction and fiction that is about feminism, sexism, and gender. I've added some fun new challenges to the 2017 version including levels and even a feminist reading Bingo card. The Bingo card will be optional but I do want you to choose a level which are based on female superheroes. How Much Longer Can I Go--And How Much Longer Do I Need to Wait? I'm nearly a year into working on my depression memoir, as I said in this post. I got my new printer working on Sunday and printed out my most recent revision of the story. It's really thick now. But I'm still not done yet 😐 Skimmed through it the other day and noticed some spelling errors and some omitted words. Will get to around to fixing those soon. I don't know how much longer I will need to work on it and when I will try to find an editor and publisher. I know, thinking too far ahead 🙂 But I know I want to do this eventually. I showed the recent print to some of the people at work yesterday, and one girl said she would definitely read the book if it's published, and she said if it's published, I should do a book signing. Yes, I will do that if all this happens and I'm already thinking of places where I can hold one. Perhaps at the local bar and coffee shop and at the nearest Barnes and Noble. Again, thinking too far ahead, but these would be good places for anyone in my hometown to do a signing if they get something published. Click on the link above to read more. I liked the flow chart from the article, pictured above. How would the idea of a YA novel set in the 1980s in an epistolary (diary) format sound? 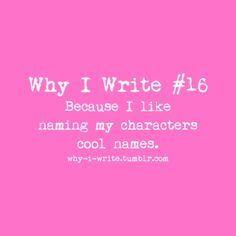 And with a male protagonist, even though I am a woman author? I've kind of found it hard to formulate fiction based around the current technology and I think kids today should see what it was like for those of us who grew up in the eras before cell phones, the Internet and such. What does anyone think? Now I've begun to attempt this. Again, I hope to share are of this later. 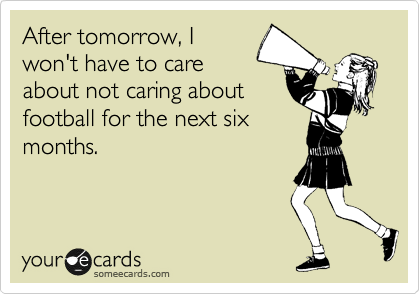 Is this you too, today? I'm not sure at this moment what I plan on doing for the rest of today, but watching a movie sounds good. I know I will definitely do some reading. 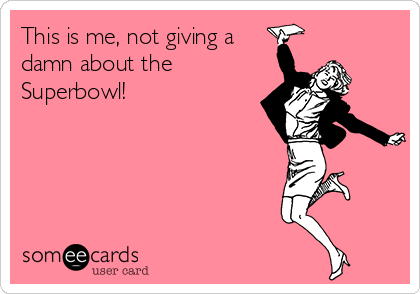 I'm glad I didn't to go to the store yesterday because I heard about them being crowded by people getting beer and snacks for the game. And some may have waited until this morning to do so, so I'm not sure about going to the store today either. I do wonder how busy Goodwill be today, though. Quiz: What Does Your Candy Heart Say? I do like eating candy hearts, though. And I would love to have a hug from someone.